What’s up doc?! Wait no longer, the new pet bed in a cone has arrived! 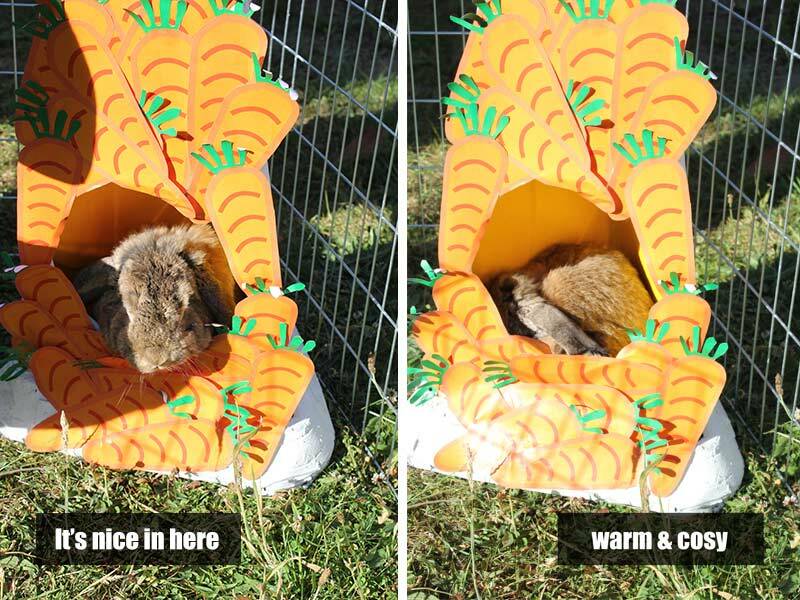 Rabbits from all around are queuing up to get their paws on this carrot-adorned conical home. 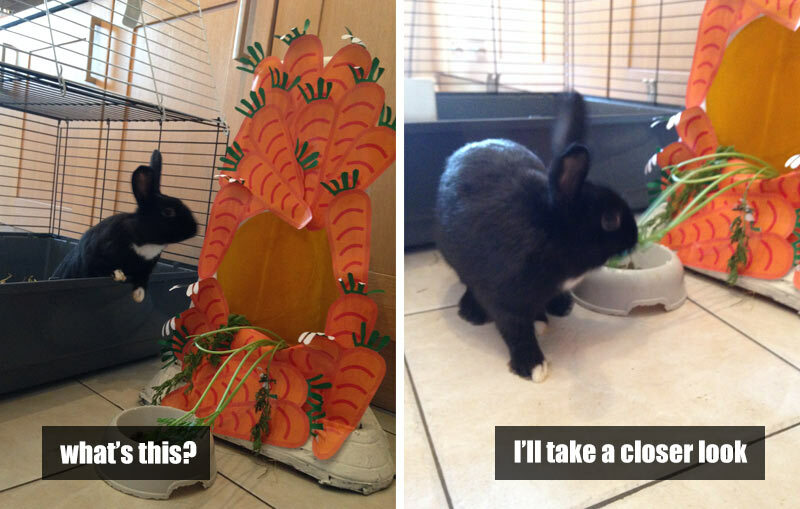 It really is the very epitome of luxury rabbit residency. 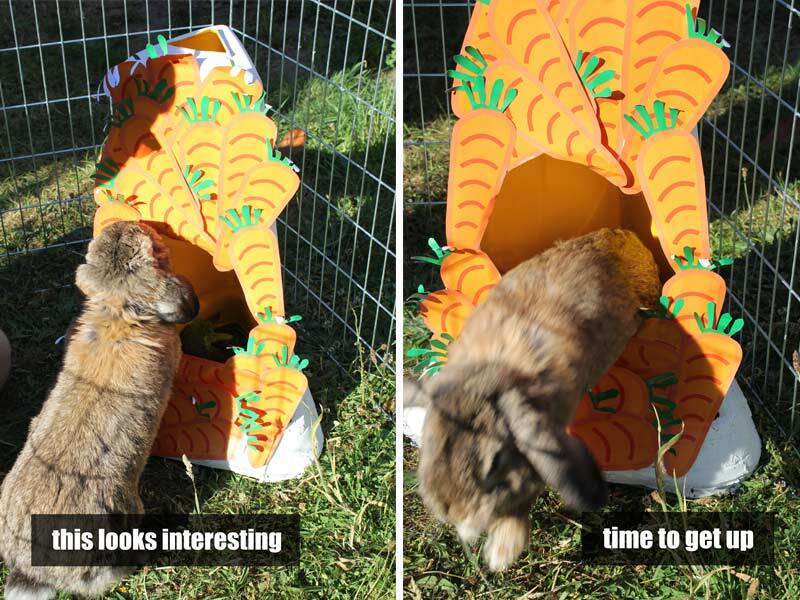 Waffles finds jumping in and out is fun! Stitch the rabbit looks on inquisitively. All you need to make your own bespoke pet bed in a cone is a 2 piece No Waiting Cone. Simply cut a hole in the front of the cone and decorate to suit your pet! 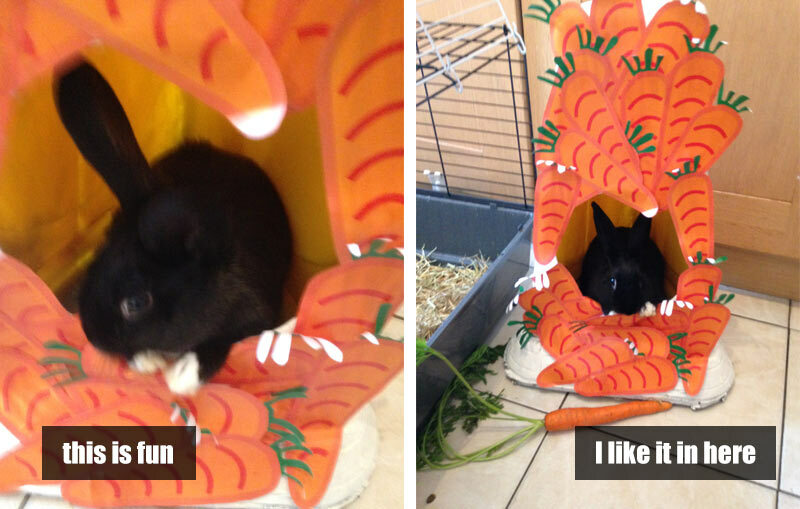 The world is your oyster… or rabbit.